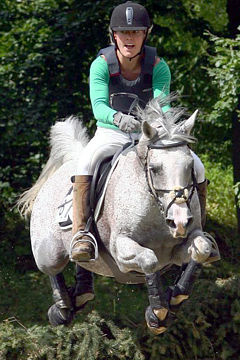 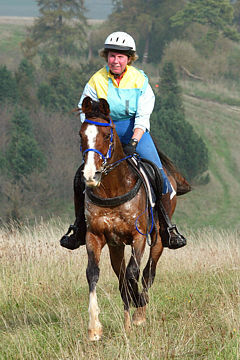 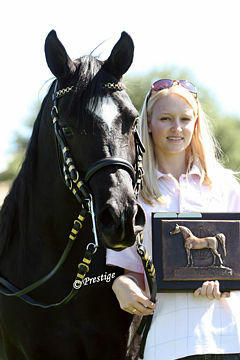 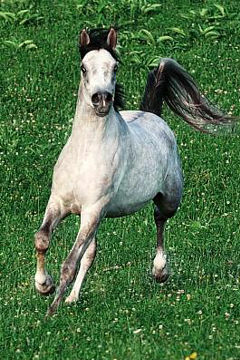 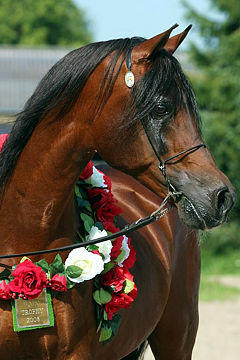 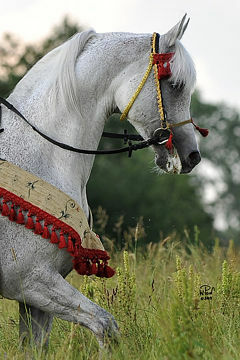 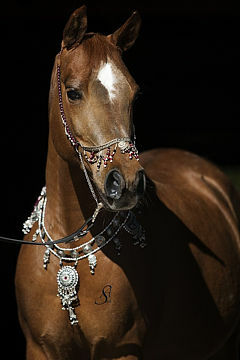 The Polish Arabian Horse Breeders Society is delighted to announce that the renowned stallion Ekstern, bred and owned by Michalow State Stud, was awarded the Polish edition of the WAHO Trophy 2008. 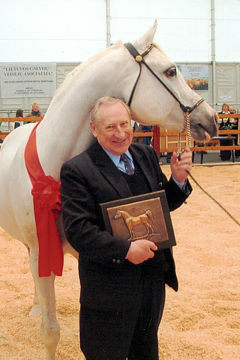 The Trophy was presented in a special ceremony to honour Ekstern and his achievements at the Polish National Championships Show and Arabian Horse Days Festival held at Janow Podlaski in August. 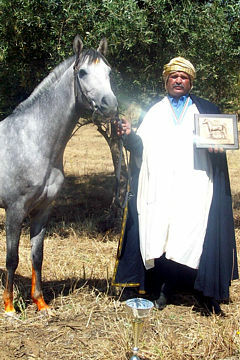 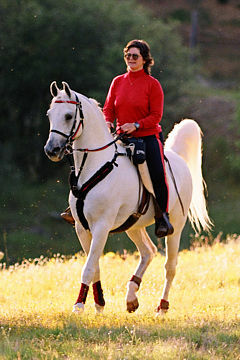 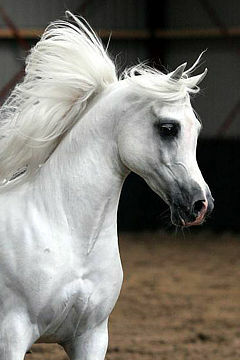 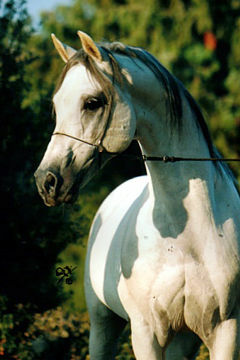 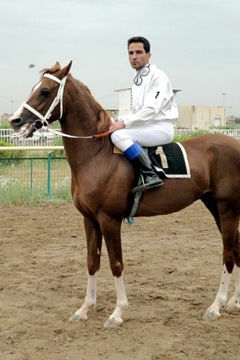 Ekstern is now the sire of the highest quality offspring which are distinguished by the most excellent features of the Arabian breed. 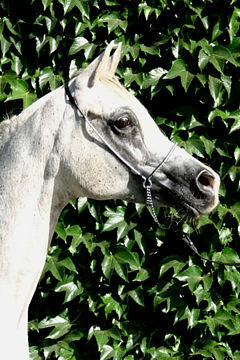 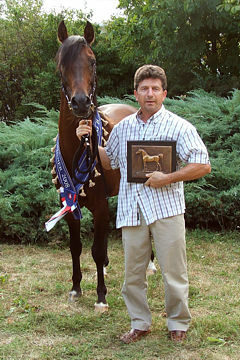 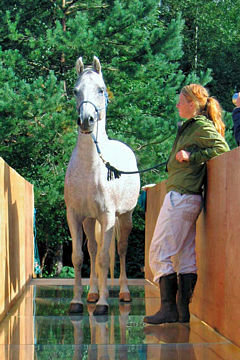 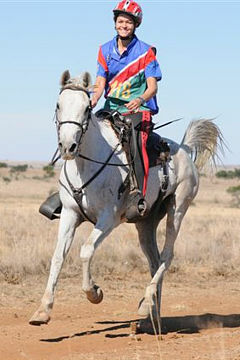 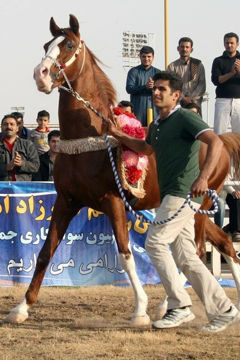 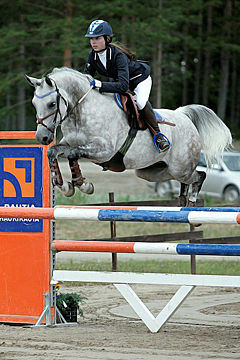 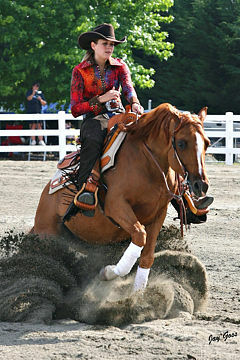 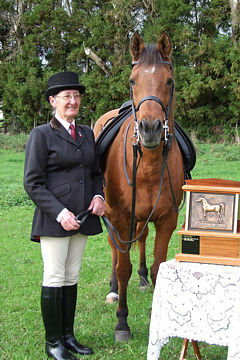 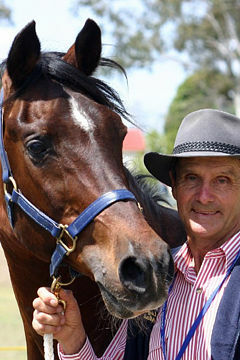 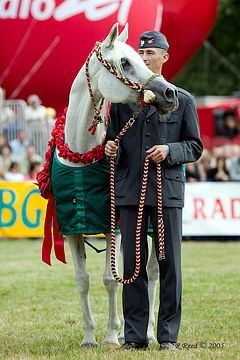 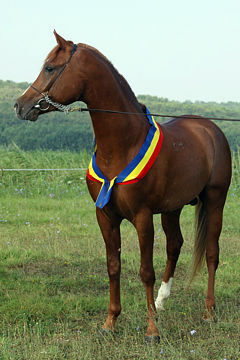 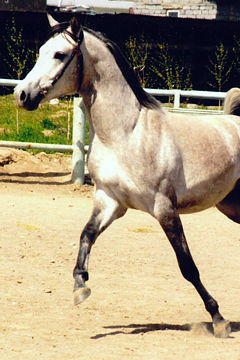 They include several national and international show champions. 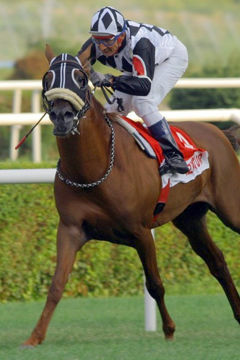 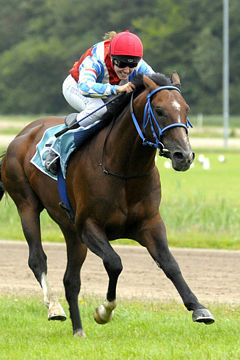 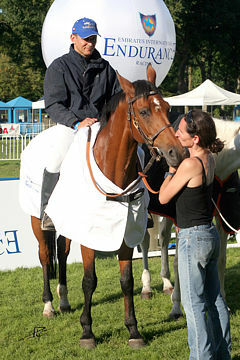 Ekstern is currently leading the ranking of the best sires in Poland. 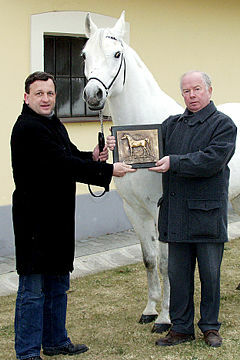 Left to right: Mrs. Izabella Pawelec-Zawadzka, WAHO Executive Committee Member; Mrs. Krystyna Karaszewska, Registrar PASB; Mrs. Urszula Bialobok, Breeding Manager Michalow State Stud; Mr. Jerzy Bialobok, Director of Michalow State Stud; Ekstern; Mr. Stuart Colvin, handler.